Initially, I installed xdebug via the GUI Synaptic Package Manager. 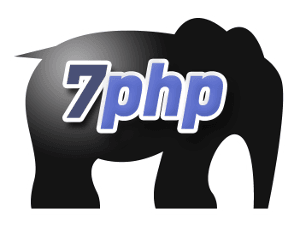 Then I configured my php.ini to load the xdebug like a zend extension and added some configurations. But dammm, it would not work at all. Somehow I asked myself ‘why not re-install the xdebug‘, but this time via my favorite Bash Shell. Afterall I did all the raw LAMP install via the shell. Bingo! I did $ sudo apt-get install php5-xdebug and it installed it as expected BUT with an additional thing. Keep on reading.. The installation via the Shell, has created an additional xdebug.ini in my /etc/php5/conf.d/ folder. This file is new to me, never in the past did I had to create that file, or may be installing Xdebug with XAMPP is a different approach. That xdebug.ini simply had the line: zend_extension=/usr/lib/php5/20090626+lfs/xdebug.so in it. I think that may be to load xdebug as a zend extension, that path should be registered in its separate file. I re-opened my php.ini and removed that entry there, leaving the other configurations untouched. I restarted Apache2 and Voila! Finally xdebug is now enabled.. holy crap, it took me some precious time for such a simple thing (which would not otherwise have been obvious though)! Do you have something to say about this matter? May be you know why we need this additional xdebug.ini? Please use the comment form to explain/say something..